Over time our body looses collagen, elastin, fat, and hyaluronic acid causing our skin to sag. Due to the above changes we begin to lose that youthful appearance in our skin. Dermal fillers from Allergan (Voluma, Juvéderm®, Vollure, Volbella) or Galderma (Restylane®, Lyft, Silk, Defyne, Refyne) are used to correct the above changes in areas such as your laugh lines to help restore that youthful appearance. Dermal fillers are also used to enhance certain areas of your face such as your lips and cheeks. Dermal Fillers are made of Hyaluronic Acid (HA) which is a naturally occurring, hydrating substance found in your skin. As you age, you start to lose HA, which causes the skin to lose structure and volume. Good news is that we can help correct these! What Areas are Typically Treated with Dermal Fillers? Smile/Laugh lines– these are lines around the nose also know as the nasolabial folds. As we grow, we lose fat, crucial connective tissue components such as collagen/elastin and hyaluronic acid in this area which results in these deep folds and a more aged appearance. Dermal fillers such as Juvederm or Restylane effectively reduce the appearance of these folds and give you a more natural appearance. Marionette Lines- hollowness in the angles of the mouth and these lines are corrected along with the above nasolabial folds. This can be achieved with a number of different fillers such as Defyne or Refyne or Juvederm Vollure. Lips– Dermal fillers are used to give lips more definition and plumpness. We will help you select the appropriate filler for the lip goal you are trying to achieve. Minor Lip Enhancement – Should you find yourself seeking a minor enhancement to your lips, Volbella is an excellent option. The finer molecules provide a silkiness that works best for a natural appearing lip enhancement. Cheek Enhancement and Contour– As we age, our cheeks begin to sag due to loss of fat, collagen/elastin, and hyaluronic acid. Voluma or Lyft is a wonderful way to restore those youthful full cheeks and give you those high cheek bones. Under-eye Hollowness or Sunken eyes- to restore the youthful appearance under the eyes and can also help with dark circles caused by the shadows created due to the hollowness itself. Restylane or Volbella will help fill in those under eye hollowness that makes you look tired. Superficial wrinkles – If you have mild to moderate facial wrinkles (e.g. between the eyebrows/frown lines, forehead, midface, or chin) then Juvéderm® Ultra or Volbella is the option as it has a thinner consistency for rapid correction of these superficial issues. For fine lines around the mouth, our latest filler, Volbella the ideal choice. Scar Correction – The thinner consistency of Juvéderm® Ultra is equipped at correcting the appearance of scars. Loss of Facial Shape/Volume –Restylane Lyft or Voluma is injected into the deeper layers of the skin, which is ideal for facial shaping. Eg. providing a more defined jawline and reduced jowling for men and women. Nasal asymmetry or misalignment – Juvéderm® Ultra Plus XC or Restylane can be used to achieve a 5-minute nose job for individuals looking to stay away from invasive facial plastic surgery. During your consultation at Noydeen Beauty, our treatment provier will help you decide which type of dermal filler is best suited for your treatment. We will talk through the entire procedural overview, including the areas of injection and steps we take to ensure you are comfortable and safe. Many of our patients choose dermal fillers with Allergan (Voluma, Juvéderm®, Vollure, Volbella) or Galderma (Restylane®, Lyft, Silk, Defyne, Refyne) treatment because they offer an immediate improvement with minimal downtime required post-treatment. These filler treatments take just minutes to administer and is custom tailored to fit your own personal needs, with more or less of the product added to achieve the aesthetic goals of the patient. The treatment is compatible with all skin types to restore the natural Hyaluronic Acid which has been lost. Both products are biosynthetic and of non-animal origin. 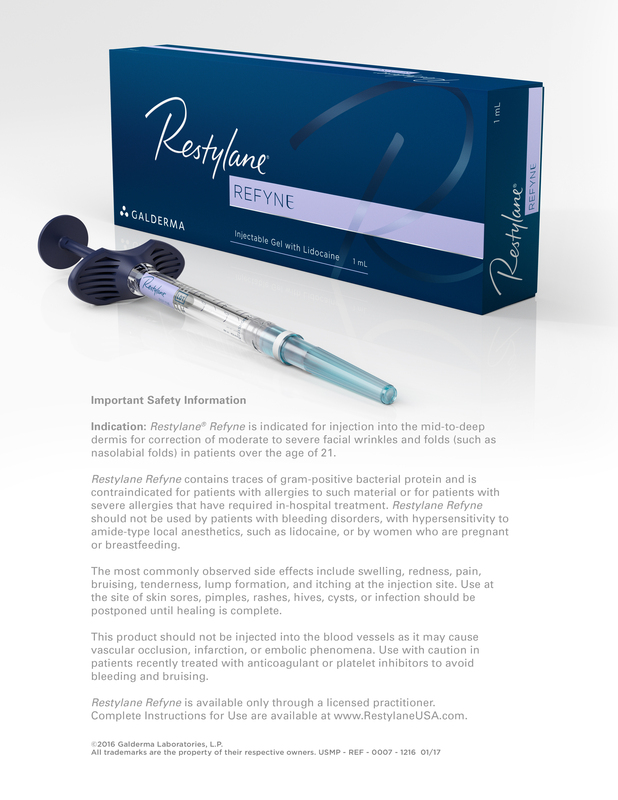 Existing patients are pleased to report that dermal fillers with Allergan (Voluma, Juvéderm®, Vollure, Volbella) or Galderma (Restylane®, Lyft, Silk, Defyne, Refyne) produce immediate and youthful results. An instant result in the targeted treatment areas will be visible post-procedure, which complete results visible after 1-2 days. As with most dermal filler injections, minimal bruising and swelling may occur at the site of the injection. This is harmless and dissipates naturally within a few days. Find yourself seeking total facial rejuvenation, but do not want the risks associated with surgery? We offer optimal dermal filler treatments with Allergan (Voluma, Juvéderm®, Vollure, Volbella) or Galderma (Restylane®, Lyft, Silk, Defyne, Refyne) for prospective patients over the age of 21 in Conway, Arkansas who would like to treat minimal to severe nasolabial folds, marionette lines, thinning lips and facial volume loss. Patients with severe allergies to hyaluronic based fillers or lidocaine mixed in the filler, a history of anaphylaxis, an active infection near the site of injection and women who are currently pregnant and/or breastfeeding should not receive dermal filler injections. Noydeen Beauty’s medical provider will review your medical history to determine if the treatment will be suitable for you. If you’re ready to learn more about how fillers can freshen your appearance, we encourage you to contact us today to set up an initial consultation. During this consultation, the provider will answer any questions you may have. She will also assess your face and help you determine whether dermal fillers can provide the results you desire.